Hellcat of a cool pumpkin carving! It’s October already. Stores are bursting at the seams with shelves full of Halloween candy, decorations and costumes galore. Which haunted houses are worth your time and money are topics of conversation. But who would have thought motor heads would be thinking about pumpkin carving? Thanks to We R Mopar, VW Parts Vortex and Olathe Toyota Parts Center, dedicated car and truck fans can have some of the coolest-looking pumpkins in the neighborhood. No carving that same, old, one-toothed, smiley face into your pumpkin this Halloween. Nope. Instead, download and print the free pumpkin-carving pattern of some of the hottest vehicles from Dodge, Volkswagen or Toyota. Personally, I highly recommend choosing the 2015 SRT Hellcat from We R Mopar. Once you’ve carved your pumpkin, be sure to share pictures of your artwork on the retailer’s Facebook page or tag them on Instagram. If you’re not into the ooey-gooey, messy greatness that is pumpkin carving, you can enter to win a professional reproduction that you can use year after year. Visit the respective retailer’s Facebook page and like the pumpkin post for a chance to win. But don’t delay – winners will be announced October 22! Another treat this October are the current offers available on the Dodge lineup of vehicles. 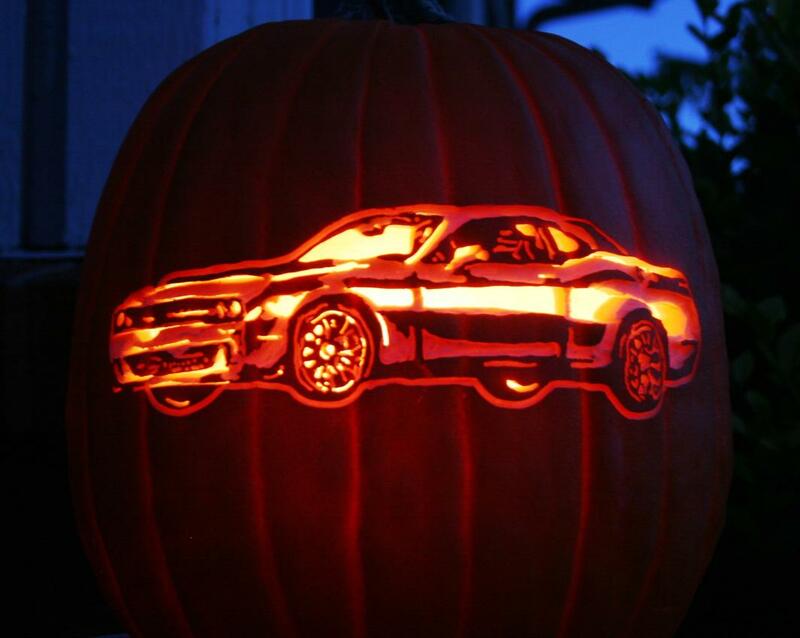 Imagine how great that carved Hellcat pumpkin would look sitting next to a shiny new Challenger. Whether you’re in the market for a sporty new Dart, a roomy new Durango or anything in between, Dodge and Chrysler Capital want to get you on the road. Apply online from the comfort of home and get into a new Dodge today!